Improve your English skills online for free. IELTS is an English test so obviously the most important first steps in preparing for the IELTS exam is to improve your general English ability, all the four skills of Reading, Listening, Speaking and Writing. You can start by improving your general English using online tools, News websites, podcasts and free grammar and vocabulary practice websites. 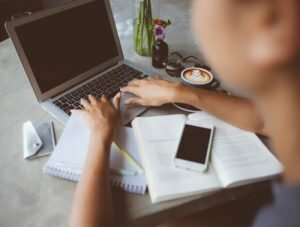 On this page, I have put together a list of recommended free websites for online English study. 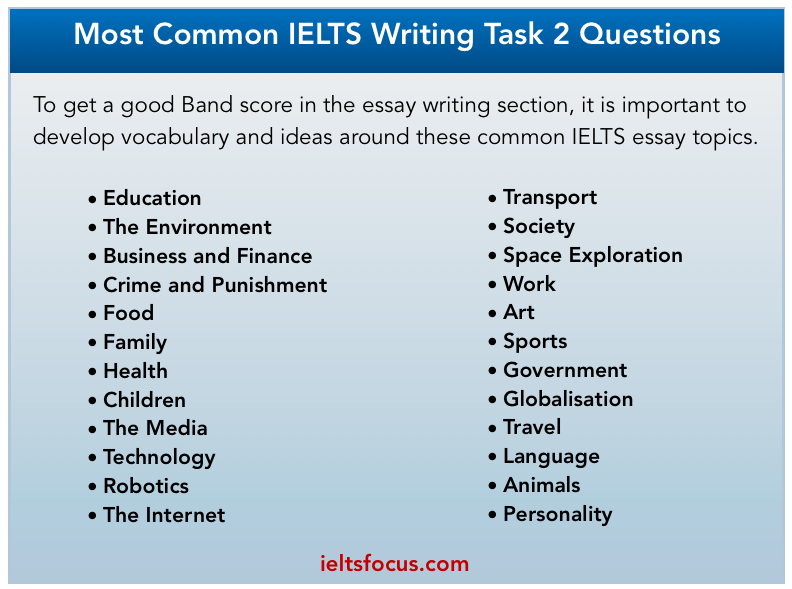 Most people who study IELTS spend too much time just doing practice tests over and over and they get bored by these very quickly. The best way to improve your general English ability is to be exposed to real-world English like you would read in newspapers, magazines, books, Podcasts, conversations, listening to the news or even watching your favourite YouTube videos. By doing this, you can pick up on phrasal verbs, collocations, fixed expressions, and common topics that you may see in the IELTS exam. This method really expands your vocabulary naturally rather than only relying on IELTS test materials. I recommend your English studies be about 40% IELTS practice tests and 60% real-world English from the media, books (read a lot), news websites, TV, conversation practice, vocabulary building exercises and so on. Find news stories to read about connected to common IELTS topics such as the environment, crime, society, health, technology and so on. What If you haven’t got a teacher to practice speaking with? No problem, one useful method to practice and self correct your speaking is to get your smartphone and record yourself doing the speaking test, then play back the recording, next listen for fluency issues such as hesitation, pronunciation, vocabulary mistakes and grammar errors. Do this daily and your speaking will improve. Setting up a study plan. Here are some websites that will help you to improve your General English ability before taking the IELTS test. I recommend listening to TED Talks, News topics, Podcasts or Online English lessons. Here are some very useful websites. 1.Ello: Very good website for listening practice from Beginners to Advanced, with various accents such as Canadian, British, American, Australian, Scottish etc..
2. Audible: This is a unique way to practice your listening and reading skills using audio books. It was set up by Amazon and there is a 30-day free trial, the books can also be downloaded to your phone using an App. 3. Ignite: This website contains 5-minute presentations and lectures, the presenter has only 15 seconds per slide to get the point across. This is useful for understanding native speakers at normal speed. 4. Voice of America: Popular News stories with a script and grammar topics, the pace is not too fast. 5. Breaking News English: Current News lessons with a PDF you can download which has synonyms and comprehension exercises. There are also different speed listenings in American or British English. 6. Listen a minute: A-Z of topics for simple listening practice, you can download the PDF too. The level is quite easy so it’s good for intermediate level students. 7. BBC Learning English: News topics and lessons specially made for English students. PDFs can also be downloaded. 8. Stitcher Podcasts: News topics and Podcasts on current issues, a good place to practice real-world listening skills. 9. TED talks: Interesting Lectures and presentations on many types of topics. Good for higher level students who want to build IELTS vocabulary. 10. Esl Lab: Lots of topics and exercises for listening here, mainly American English. 11. BBC 6 Minute English: This is a good place to brush up on your listening skills with interesting topics and vocabulary lists for each topic. 12. BBC World The Interview Archive: Lot’s of radio prgrammes here around a wide variety of interesting topics, this is good practice for IELTS listening parts 3 and 4. Reading is a very good way to get new vocabulary such as phrasal verbs, collocations, idioms and fixed expressions. Here are some online resources for reading. Click on the links to access the webpages. 1. Dreamreader: Excellent website with various types of readings like Academic texts, Fun readings, Easy English and practical English. Reading is the best way to raise your level of vocabulary. 2. Breaking News English: News lessons with a PDF you can download which has synonyms and comprehension exercises. You can read and listen at the same time. Good for active listening skills. 2. Read any Book for Free: This is a great online resource where you can select from various genres or search for an author or book, the level is a bit higher but good for book lovers. 3. English is a piece of cake, Interesting website that has some reading lessons and grammar topics with exercises. 4. New Scientist: Useful academic articles, handy for the IELTS academic readings, a good source of topic-specific vocabulary. 5. The Economist: Politics, business and Economics news, higher level and good practice for IELTS academic readings. 7. BBC Focus Magazine: Lots of good articles to read connected to common topics in IELTS such as Space, technlogy, health, Environment and science. Grammar is a big problem for most people taking IELTS, especially when writing essays. The most common mistakes I see are Articles (the, a, an, zero article) Plurals, countable uncountable nouns and correct use of collocations. This list below should help you practice online for free. 1. Grammar exercises: This website has a lot of material and exercises to help level up your grammar. 2. Skills you need, Punctuation rules: This website shows the rules needed for good punctuation, the IELTS examiner will check your punctuation so it has to be accurate, this goes toward your grammar score in writing. 3. Collocations exercises: This website is a very good resource to help you understand and spot collocations, also there are a lot of exercises where you can practice the most common collocation patterns. 4. Vocabulary explanations and exercises: This site has a huge amount of material for helping your vocabulary with exercises. 5. IELTS Vocabulary App – Cullen IELTS 7+, This app is highly recommended, it is available in the Apple App store. The Author was a senior IELTS examiner. So if you prefer using a smartphone this is a good way to study. 6. How to Spell.co.uk : Spelling practice, remember that the IELTS examiners are going to check your spelling in the writing section, here is a good website with spelling rules and exercises for adults. 7. Quizlet: This is a useful site where you can study by using flashcards, making sentences and matching activities. Go to the search box and type in IELTS Vocabulary. When you find a new word or phrase, underline it, make a note of it but most importantly Practice it ! … Just making a list of new words is not effective. These are the questions you need to ask yourself when you build your vocabulary. How does the word fit naturally in a sentence? What synonyms go with this word? How can it be used in an essay? Are there any collocations related to this word? What part of speech is it? adjective, noun, verb, phrasal verb, collocation?